There are some wonderful pony book covers out there, and then there are the ones that stick in your mind for all the wrong reasons. The original hardback edition of Gillian Baxter's Horses in the Glen had a prettycover by Elisabeth Grant. 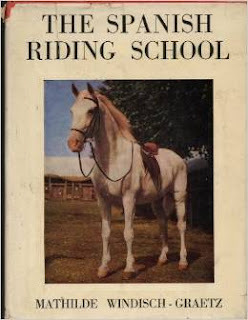 The Children's Book Club edition had something copied, rather badly, from Mathilde Windisch-Graetz's The Spanish Riding School. The Children's Book Club had form for producing iffy covers. Here is their version of Monica Dickens's Cobbler's Dream (which arguably is not a children's book anyway – or at least only for a child with a strong stomach). The Michael Joseph first edition is infinitely better. 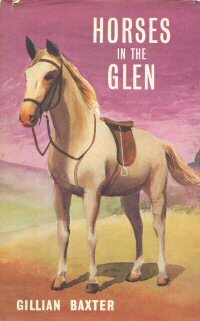 Possibly the most glorious Children's Book Club effort is this one, for Monica Edwards's The Wanderer, which does make you wonder if the illustrator had ever seen an actual horse. Fortunately the original artist, Joan Wanklyn, had. 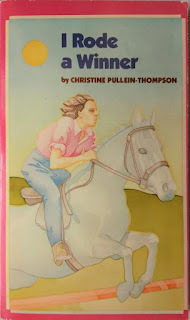 Scholastic Book Services (who, like the Children's Book Club, did also produce some perfectly decent book covers) were guilty of plumbing the depths at times, as they did for their version of Christine Pullein-Thompson's I Rode a Winner. It's a whole world away from the Armada original. A rather unlikely horse also graced the 1996 Hodder edition of Ruby Ferguson's Jill's Gymkhana. 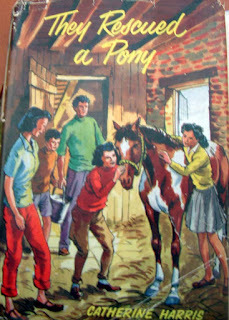 * Where Jill herself has gone to in this cover I do not know. She's firmly where she should be in Caney's original. Sadly, there are whole herds of ponies out there drawn by illustrators who you suspect must have groaned when the commission to illustrate a pony book arrived. The Armada version of Diana Pullein-Thompson's Janet Must Ride is a prime example. The original is by Mary Gernat: a rare hardcover outing for her. She's better known as an illustrator for the Armada and Dragon imprints. 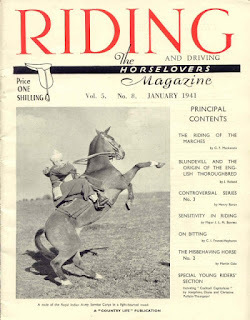 And if you're a little bored with horses, you can always turn to the rider. Joanna Cannan's A Pony for Jean, in the 1970s Knight reprint, paid more than lipservice to the fashions of the time. And also inflated her pony into a thumping great horse. 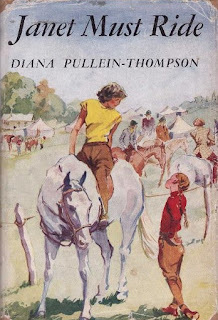 The Ravette edition of Christine Pullein-Thompson's Phantom Horse was another that completely dispensed with the grace of the original - this also first appeared as an Armada paperback. Kathleen Mackenzie's Nigel Rides Away is unusual in being the original edition (and indeed, the only one). 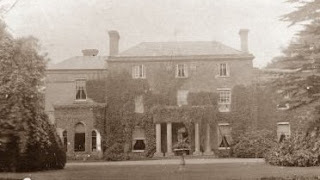 It was published in Evans in 1960. And then there are the covers that are just plain disturbing. Look away now if you don't like clowns. 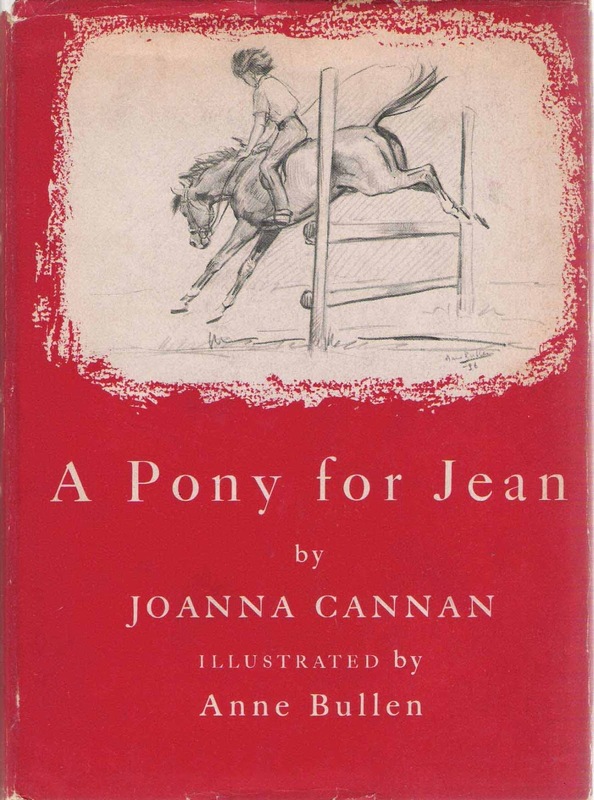 The clown is at least relevant: in Catherine Harris's They Rescued a Pony, as the pony in question is rescued from a circus. The original edition was illustrated by Geoffrey Whittam, and is blessedly free of anything disturbing. When I was a bookseller, one thing I noticed was that it was the edition they'd read as a child that people wanted. It didn't seem to matter how terrible the cover was: it was that pull to a joyful thing remembered from childhood that mattered. And so I guess that for some, these covers, however bad, will conjure up for them the enchantment they found when they first read the books. And it is, after all, what's inside the book that matters. * Jill's pony, Black Boy, was black in the original publications of the books, but became a piebald once Knight started issuing paperback editions. 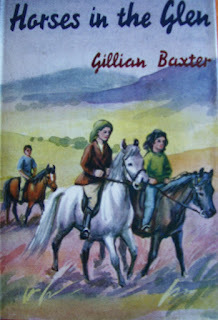 There was also one edition of Jill's Gymkhana (the Knight 1968 edition), in which Black Boy was renamed as Danny Boy. He changed back into Black Boy after that, so that book remains a single, solitary (and inexplicable) blip. Wasn't that because Jill called him 'Patchy' because she didn't know his name? And then when she bought him the farmer told her his name was Black Boy? In the first edition, Black Boy was called Blackie before Jill got him. Once he became a piebald, Jill called him Patchy until she got him.